Nipsey Hussle was killed in a shooting outside his clothing store in Los Angeles, multiple law enforcement sources said. Two other men were in serious condition, and a suspect remained at large. Nipsey is romantically involved with actress Lauren London the two began dating in 2013, and welcomed their first child together on August 31, 2016. 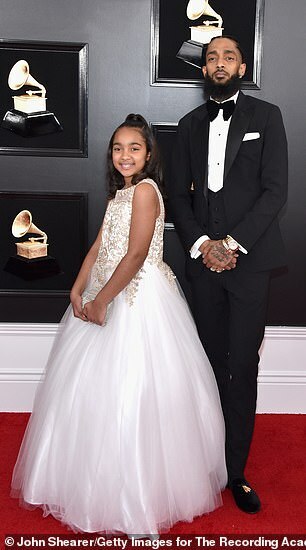 London had a child from a previous relationship with fellow rapper Lil Wayne, while Hussle had young daughter named Emani. Here at the Culture Keeper we want to offer our condolences to Lauren London and his family and friends.